Love it or hate it, freemiums can be a powerful marketing tool that companies can use in support of their businesses. This is especially true for those whose products belong to the software-as-a-service category. Think about it, you offer a very basic product for free, then when your users like what you offer, then that is the time they pay premium for the additional features that you need. A need way to generate IT sales leads, right? It sure makes your lead generation campaign more profitable – if you can pull it off. The problem with offering freemiums is the possibility of failing to bring in the profits. This is a reality that a lot of marketers want to avoid. 1. Be chummy with analytics – big data can be a powerful source of information needed for our appointment setting campaign. But all those figures are useless if we could not properly break it down to understandable forms. If you want to stick with the freemium model, you need reliable analytics to tell you what needs to be improved on, what you should be selling, when to do the selling, and even the people you have to hire for the task. 2. You need a lot of free users – to tell you the truth, you need to get a lot of free users before you bag a single premium user. Thinking that you will get more sales once you go freemium is an assumption that has given a lot of marketers so much pain when they go about their work. To tell you the truth, using a freemium model is ill-advised for those seeking immediate profits but with limited means to handle the increase in users and maintenance of servers. 3. Shift your users into paying mode gently – if you need to change your user base from free to premium, you need to implement the change slowly and in increments. Let your users go free, then begin adding services that needs payments, then more payments. At this point, your sales or telemarketing team will be going in to handle sales leads at the enterprise scale. It is not that all bad a marketing tactic. 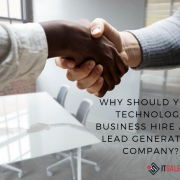 This can help ensure that you are getting qualified B2B leads for your business. Of course, you have to make sure that the people handling the selling part could handle the transition process properly. Freemiums can be really useful for firms. It attracts a large user base, get promoted for free (if the users love what you do), and then get more interested prospects to pay up to get better services or perhaps the items your business needs. You just need to keep an eye on things, monitor the trends as well as stay flexible enough in the lead generation in getting you the sales that you need.